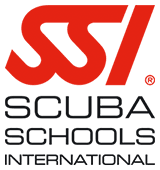 We are a scuba diving centre based in Scottburgh, Kwa-Zulu Natal, South Africa. ScubaXcursion is situated at the Cutty Sark Hotel and is a mere 20m away from the ever popular Scottburgh Beach. Trips to the world renowned Aliwal Shoal are done daily. These Aliwal Shoal diving trips promise new and exciting adventures on every dive. We pride ourselves on being a child friendly dive centre.